I am a materials scientist with a research background in solid state chemistry, condensed matter physics, pharmaceutical sciences and data science. My research focuses on applying synchrotron X-ray techniques to the study functional materials. Specifically, I have expertise in synchrotron X-ray total scattering/pair distribution functions (PDF) and inelastic X-ray scattering for probing the local structure and dynamics of materials. I also have considerable experience in small angle X-ray scattering and X-ray fluorescence imaging. The materials systems of interest span from inorganic nanoscale materials to organic crystalline/amorphous pharmaceutical compounds. In addition to experimentation, I am interested in the computer-assisted design and discovery of novel materials with advanced computing algorithms. I have written and published two software programs JRgui and xINTERPDF (more details see the CODES tab). 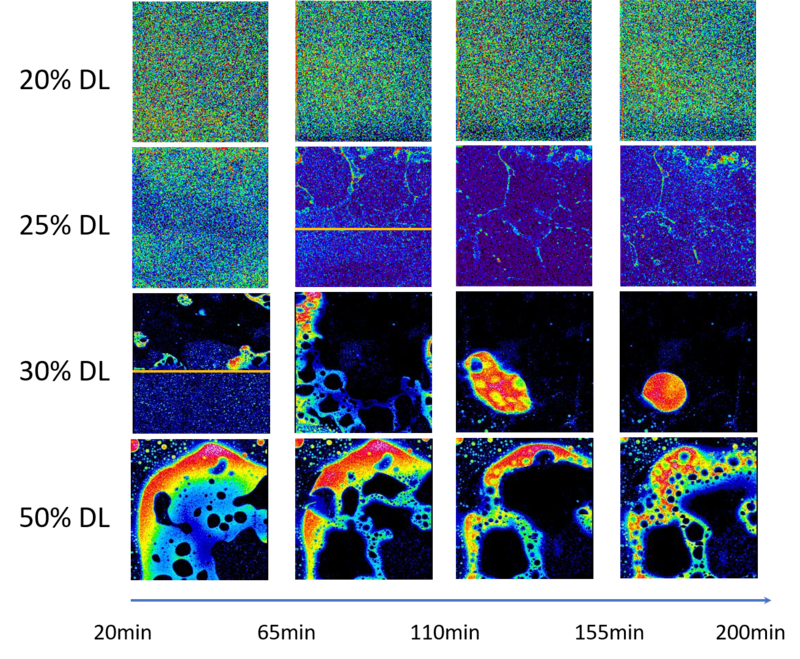 Using in situ X-ray fluorescence imaging technique to determine the onset time for amorphous-amorphous phase separation (AAPS) in ritonavir-copovidone amorphous solid dispersion (ASD). This study is the first of its kind, and provides important guidance for rational formulations of ASDs, which are currently at the center of pharmaceutical research. Using machine learning and deep learning algorithms to effectively predict properties of drug-like molecules through data-mining of large compiled datasets. 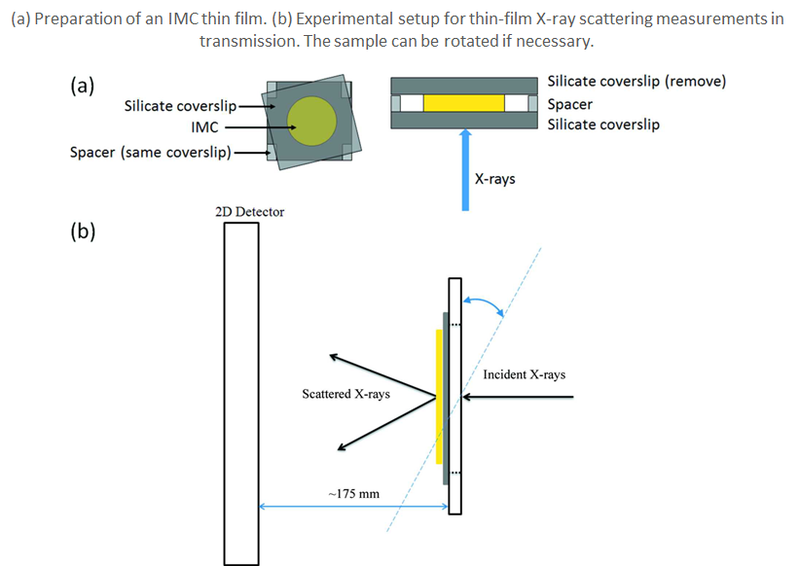 For the first time, the robust X-ray total scattering signals in transmission mode were collected on 130 micron thick indomethacin thin film deposited on the borosilicate glass substrate of equal thickness. A methodology was developed to extract X-ray scattering signal for intermolecular correlation in amorphous/crystalline organic compounds. X-ray total scattering experiment in combination with atomic pair distribution function (PDF) technique were applied to investigate the local structure of various technologically relevant nanoparticles (NPs) ranging from carbon supported platinum NPs, emerging two-dimensional Ti3C2, Nb4C3 MXene materials, zirconium based ion exchangers through Co, Ni and Mn based water splitting catalysts to ferroelectric BaTiO3 and metallic ferrite NPs. Small angle X-ray scattering and PDF techniques were combined in a "complex modeling" to obtain robust morphological and structural parameters of CdS NPs. 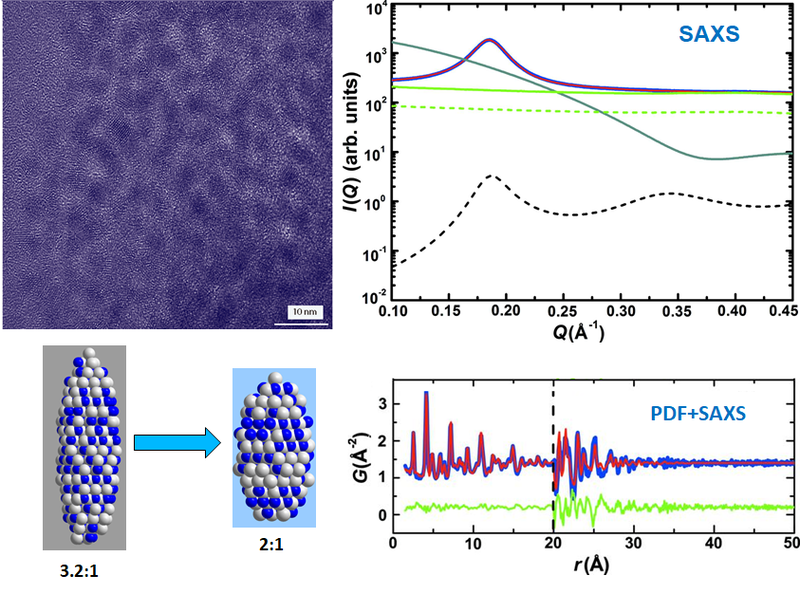 For the first time we directly mapped out the phonon density of states of three quantized grown “magic size” CdSe nanoclusters using HERIX technique at Argonne National Laboratory. Theoretically lattice dynamics was investigated by empirical force field calculation and ab initio DFT. 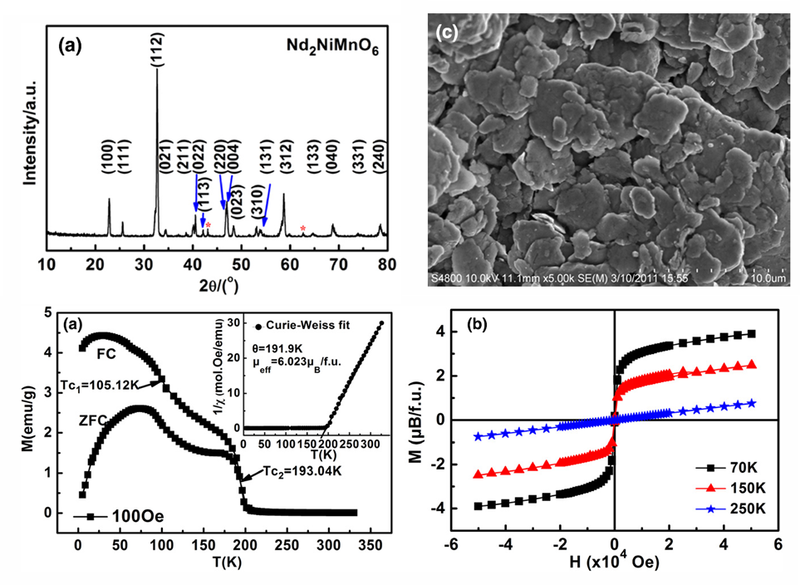 Structural, magnetic and dielectric properties of a wide variety of functional ceramics systems were investigated including modified multiferroics BiFeO3, Ca doped La2NiO4, Nd2NiMnO6 and colossal dielectrics Ca2TiMnO6. Chenyang Shi, Luxi Li, Thomas B. Borchardt and Geoff G. Z. Zhang, “Direct visualization of drug-polymer phase separation in ritonavir-copovidone amorphous solid dispersion thin film via in situ synchrotron X-ray fluorescence imaging”, submitted to J. Am. Chem. Soc. By using the modern object-oriented programming language Python (e.g. 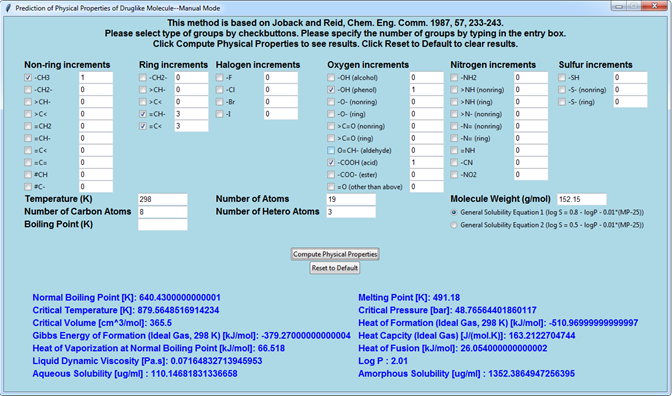 tkinter and pandas modules) and a chemoinformatics open source library (RDKit), the classic Joback and Reid group contribution method was revisited and written into a graphical user interface program—JRgui. The underlying algorithm behind the program is explained, herein, with the users being able to operate the program in either a manual and automatic mode. In the manual mode, the users are required to determine the type and occurrence of functional groups in the compound of interest and manually enter into the program. In the automatic mode, both of these parameters can be detected automatically via user input of the compound SMILES string. An additional advantage of the automatic mode is that a large number of molecules can be processed simultaneously by parsing their individual SMILES strings into a text file which is read by the program. 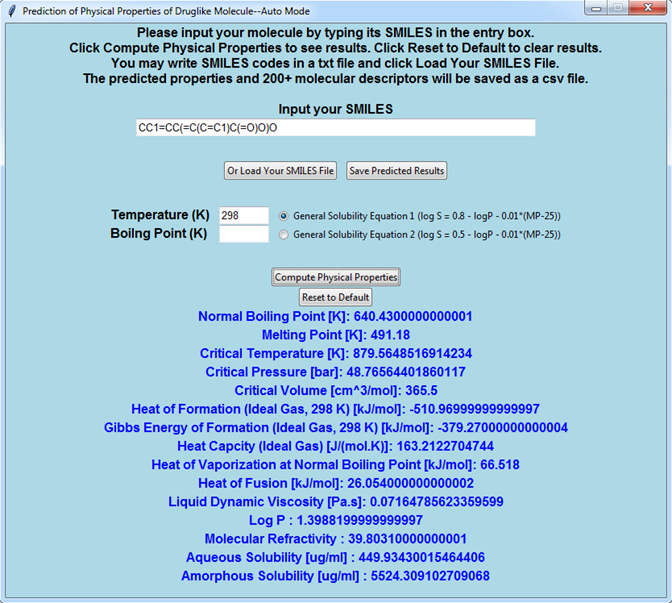 The resulting predicted physical properties along with approximately 200 molecular descriptors are saved in a spreadsheet file for subsequent analysis. The program is freely available from (https://github.com/curieshicy/JRgui) for Windows, Linux and macOS 64-bit operating systems. It is hoped that the current work may facilitate the creation of other user friendly programs in the chemoinformatics community by using Python. The JRgui has a main interface. In mannual mode, the users have the options to input the types and occurrences of the functional groups While in auto mode, only the SMILES codes are necessary from users. 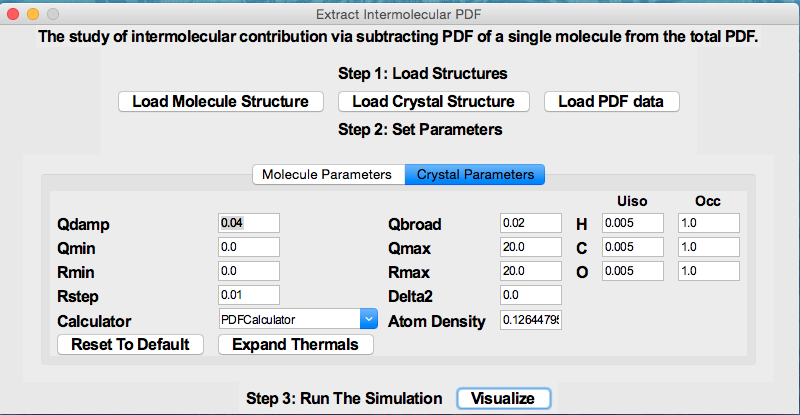 xINTERPDF: a GUI program to extract structural information from measured X-ray pair distribution function (PDF) data for organic materials. 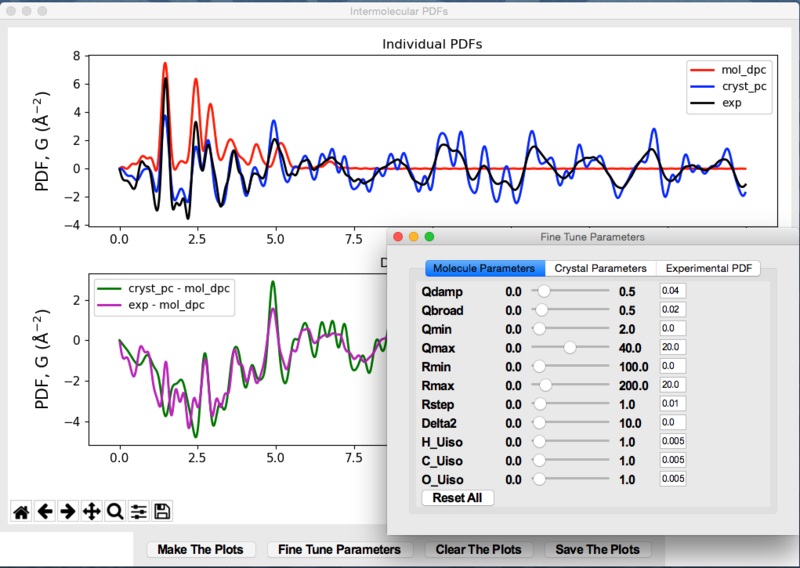 The program is designed for analyzing organic pair distribution function (PDF) data collected at synchrotron and/or laboratory X-ray sources. 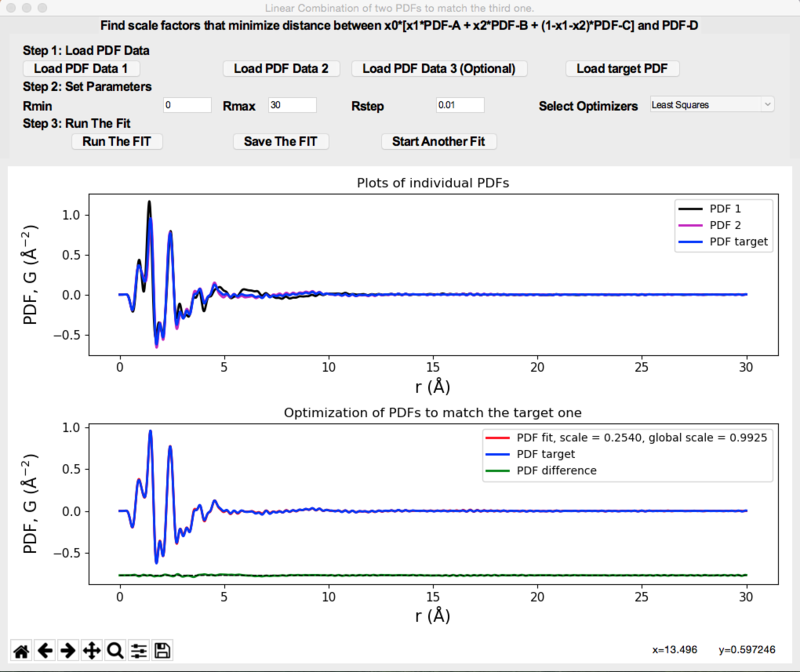 It uses DiffPy-CMI () as a backend for simulation of PDFs. Currently it supports (1) The study of intermolecular interaction (e.g. hydrogen bonds) by subtracting out the scattering signal of single molecule(s) in real space. 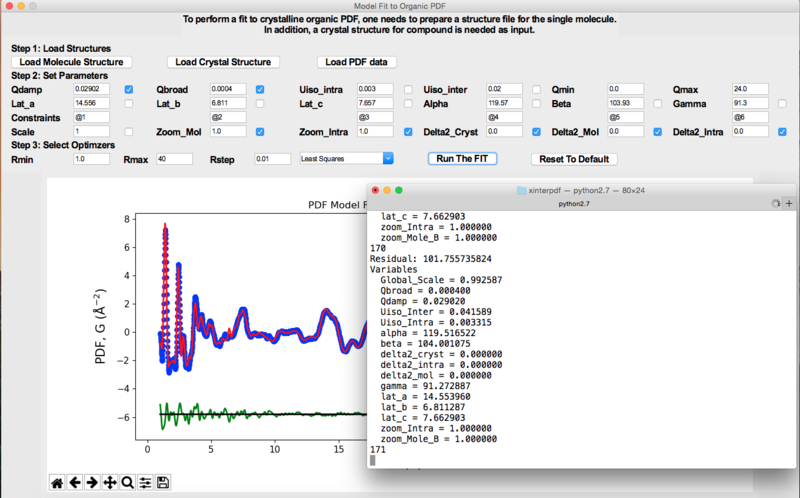 (2) The PDF model fit of the crystalline organic compound using the method proposed by Prill et al. (J. Appl. Cryst., 48, 171-178, 2015.) 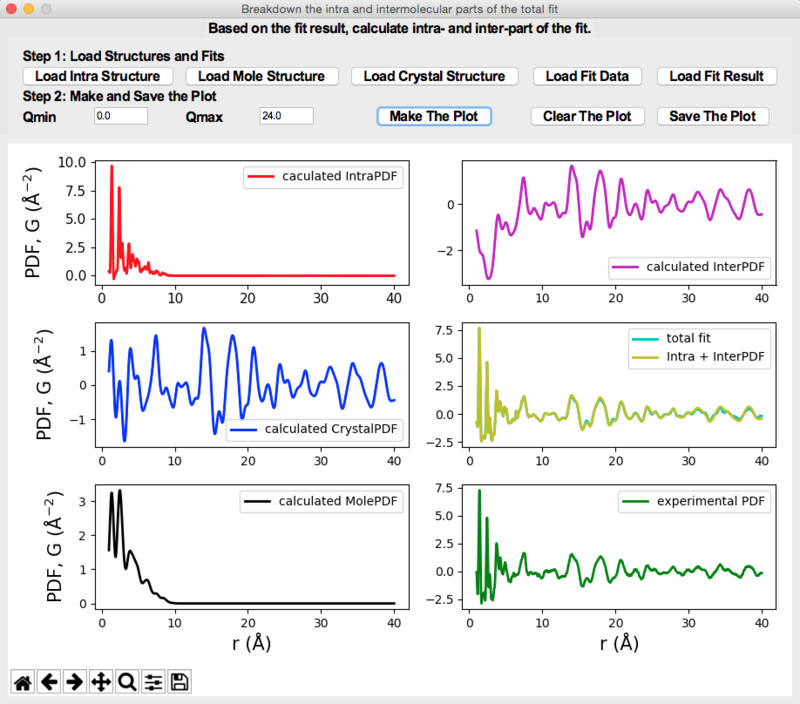 (3) The phase quantification of physical mixtures of organics. 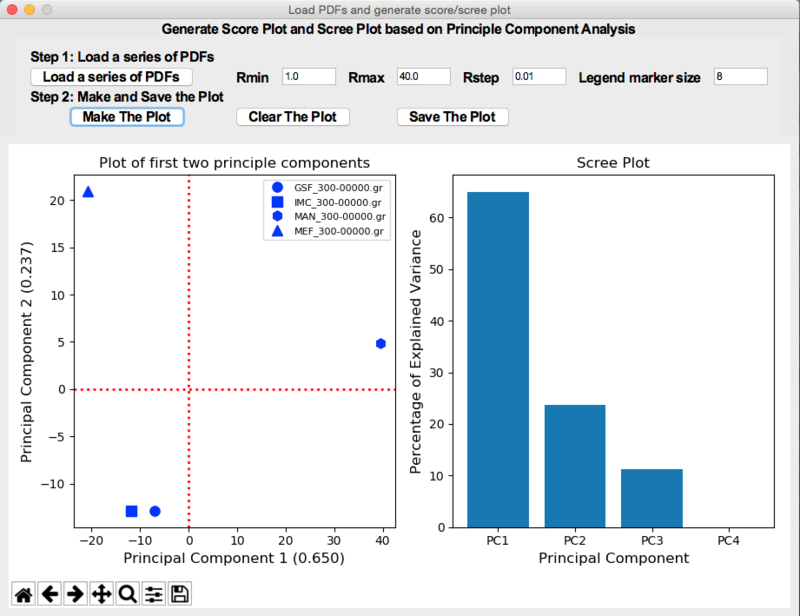 (4) Generate Score/Scree plots based on Principle Component Analysis. The program is accessible via (https://github.com/curieshicy/xINTERPDF), and is distributed through Conda. Invited talk at Spring Pharmaceutical Synchrotron XRPD workshop, Purdue University, West Lafayette, May 6-8, 2018. American Association of Pharmaceutical Scientists (AAPS) conference, 2016, Denver. “Investigation on Molecular Packing of Pharmaceutical Compounds by Synchrotron X-ray Total Scattering Technique.” (Poster). Invited Talk at School of Pharmacy, University of Wisconsin at Madison, August 11th, 2016. Interview talk at Drug Product Development, AbbVie, September, 2015. Interview talk at JILA, University of Colorado at Boulder, July 15th, 2015. 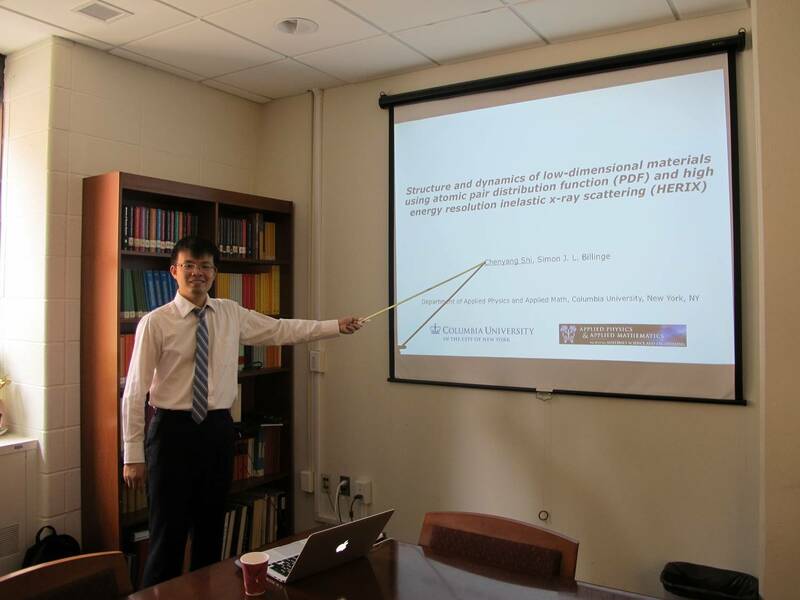 Interview talk at Chemical and Engineering Materials Division, Oak Ridge National Lab, July 1st, 2015. Interview talk at Materials Science and Technology Division, Oak Ridge National Lab, May 4th, 2015. Talk at Engineering Graduate Student Council Scholar Showcase, Columbia University, Feb. 26th, 2015. Nanoscience NY symposium, City University of New York, Feb. 19th, 2015. “Structure of Ti3C2 and Nb4C3 MXenes using atomic pair distribution function.” (Poster). NSLS/NSLS-II DOE Triennial Review, Brookhaven National Lab, Sep. 23rd, 2014 “Structure of Ti3C2 and Nb4C3 MXenes using atomic pair distribution function.” (Poster). Organizer of “1st Structure in the City Symposium”, Columbia University, August 18th, 2014. “Validation on lattice dynamics methodologies: Testing on bulk CdSe as an initial step.” (Oral). NSLS/NSLS-II and CFN Users' Meeting, Brookhaven National Lab, May 2014. “Structure of nanocrystalline Ti3C2 MXene using atomic pair distribution function.” (Poster). APAM research conference, Columbia University, March 2014. 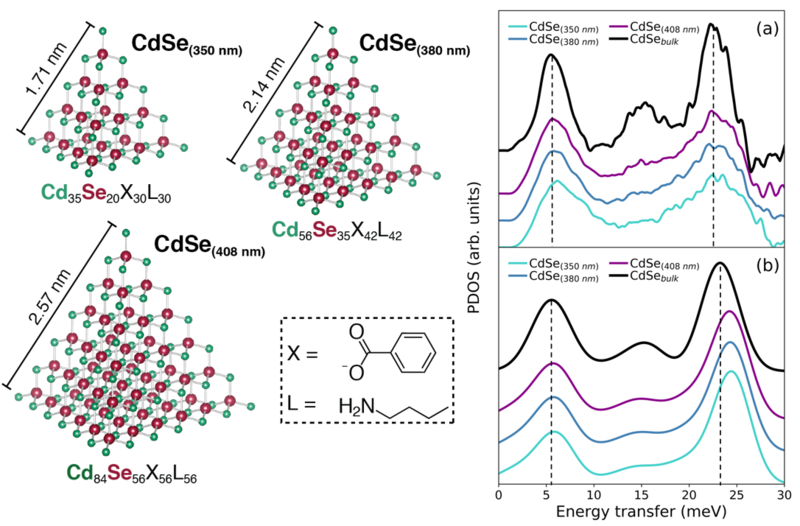 “Lattice dynamics study on size dependent CdSe clusters through PDF, Raman, IXS coupled with MD and DFT calculations.” (Oral). NSLS/NSLS-II and CFN Users' Meeting, Brookhaven National Lab, May 2013. “Extracting thermodynamic and structure-function properties of small nanoparticles from the atomic pair distribution function.” (Poster). American Conference on Neutron Scattering, Washington D.C. June 2012. “Size dependent Debye temperatures of platinum nanoparticles extracted from temperature dependent peak width of atomic pair distribution function.” (Poster). National School on Neutron and X-ray Scattering, Argonne and Oak Ridge National Lab, August 12th-15th, 2012. “Powder neutron diffractometer (POWGEN).” (Oral).